Home » Sports, Travel » Weekend Sports With James Adderly! Good evening, welcome to Sports Monday, I am James Adderley. 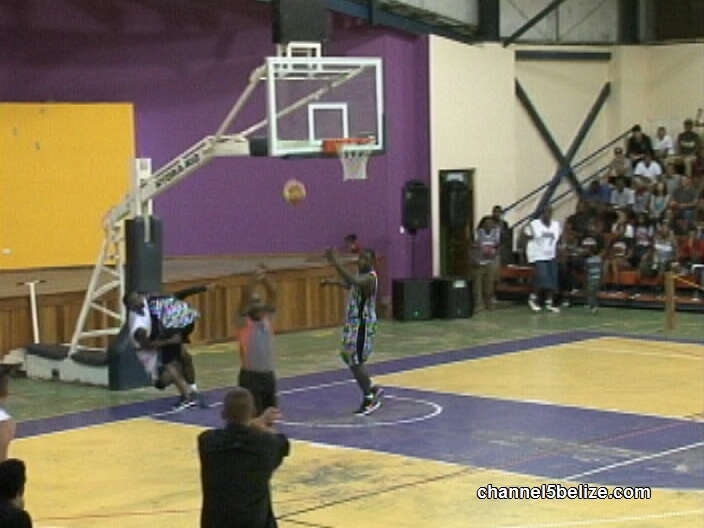 We take you out immediately to the UB Gymnasium where the Belmopan red Taigaz hosted the defending champion San Pedro Tigersharks in a must win situation after losing game 1 in a scorching 74 – 72 decision last weekend. Facing eliminations the Red Taigaz looked to Farron Lauriano and he delivered. This missed shot by Travis Lennan, Lauriano snares the rebound and execute the put back to het his team going. Jarrel Velasquez would also play big as he streaks in for 2 of his 14 game points which would be the 2nd highest individual point total in the match-up and Belmopan lead 20 to 17 at the end of the first. 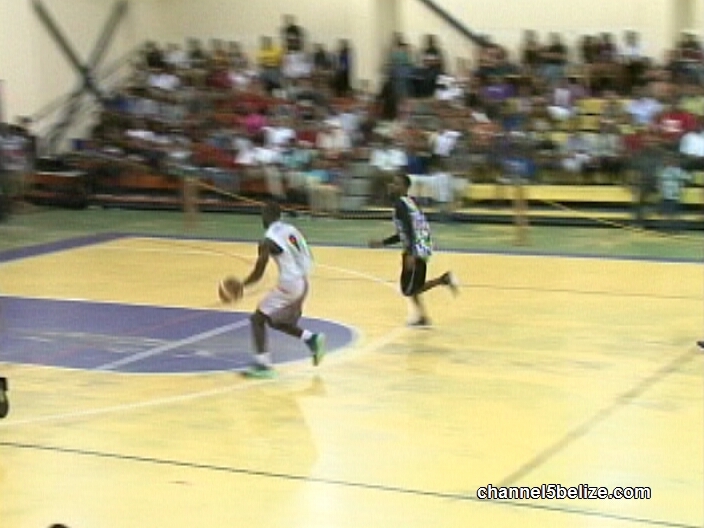 In the second Belmopan look to extend the lead – Jamal Harris moves through heavy traffic for the finger roll and would finish with 10 points. At the other end Tyrone Edwards handles himself in the paint striking for 2 of 8 team points and at the half it’s a 36 – 27 score. Things get interesting in the third. Tyrone Edwards finds Ashton Edwards who sinks the triple and would hit a double digit 13 points to tie Milton James for the team high. Darwin Puppy Leslie travels the length of the court to lay 2 points off the glass and would finish with 10. 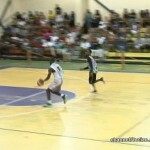 Wow watch Lauriano rise up over James Milton to hit the bucket. He would post the only 2 doubles of the ballgames – 17 points to go along with 12 rebounds both games highs which would earn him the highest efficiency rating of 25. James Milton goes left with this bucket to keep San Pedro within sinking distance Milton would record 13 points. Lauriano is hammered by Raul Roches on this lay off the glass. He is a bit shook up but would continue. 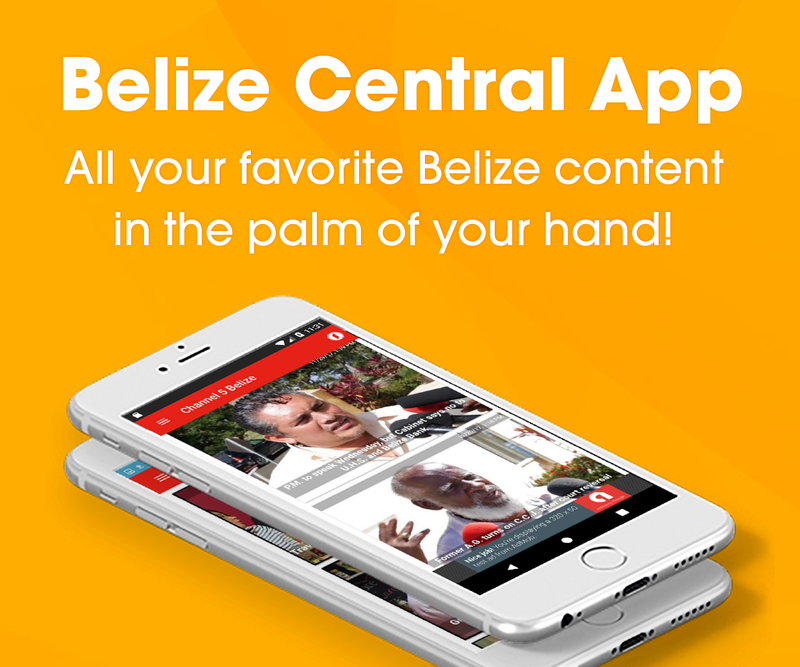 At the end of the third Belmopan leads 47 to 46. 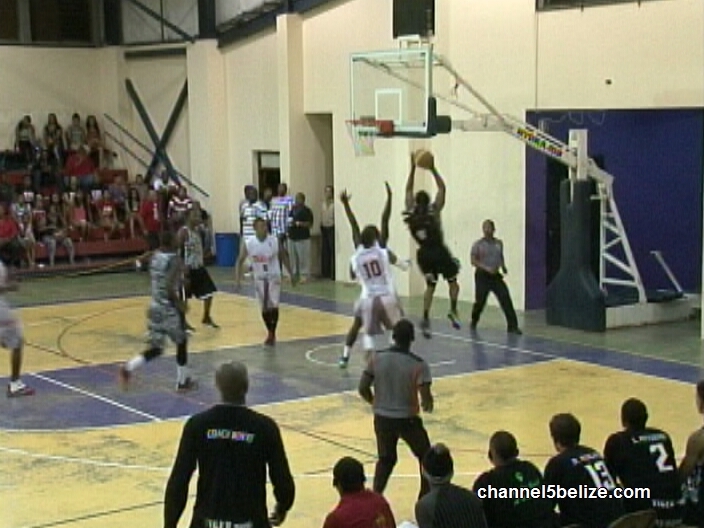 James Milton gets the Tigersharks going in the final quarter with this 2 handed slam. Mr. Most Assist Terrell Eskr idge penetrates here for 2 points but guess what he would pull 11 rebounds and lead with the team high 6 rebounds. Well things might have gotten hard when Ashton Edwards grabs Jarrell Velasquez going up for this layup – we must say Velasquez is well natural. It’s a flagrant foul – Velasquez list free throws and the Taigaz retain possession. This change the momentum. Eskridge deals to Stephen Williams who lick nothing but cotton frame from beyond. On this trip the pass comes from Travis Lennan but the result is the same – Stephen Williams lands the triple again and Belmopan Red Taigaz go on to post the 64 – 58 big w to tie the series. 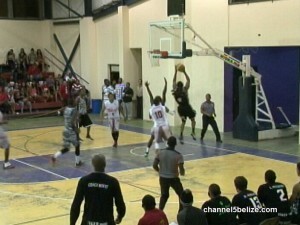 However, yesterday’s game 3 saw the Red Taigaz get jolted 67 -57 out at San Pedro. The defending champions returns to defend the title. 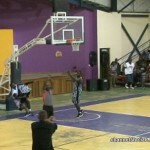 Meanwhile Cayo Western Ballaz complete the sweep with 83 -77 victory at Dangriga on Friday. Th erefore the 3 game championship series kicks off Friday as Cayo host San Pedro with game 2 set for Saturday in San Pedro. Should a game 3 be necessary it will be staged inside San Ignacio.